TOPAZ HORIZON: Topaz Beauty: New summer makeup from INGLOT! Topaz Beauty: New summer makeup from INGLOT! I rarely attend events now because I'm so pregnant and I don't like being stuck in traffic, so I appreciate events that are scheduled in the morning. I'm fresh and happy and relaxed, then I have the rest of the day to enjoy! When Polish beauty brand Inglot held a brunch at the Early Bird Breakfast Club for beauty editors and beauty bloggers a few weeks ago, I just had to go! Inglot launched here in Manila late last year, with a store at Glorietta 5. Now they wanted us to share with you ladies their summer collection. It's real purty! Model Jasmine Maierhoffer showcases the summer collection that makeup artist Mickey See painted on her face. As you can see, the summer colors are all about pretty pinks, flawless skin and freshness! 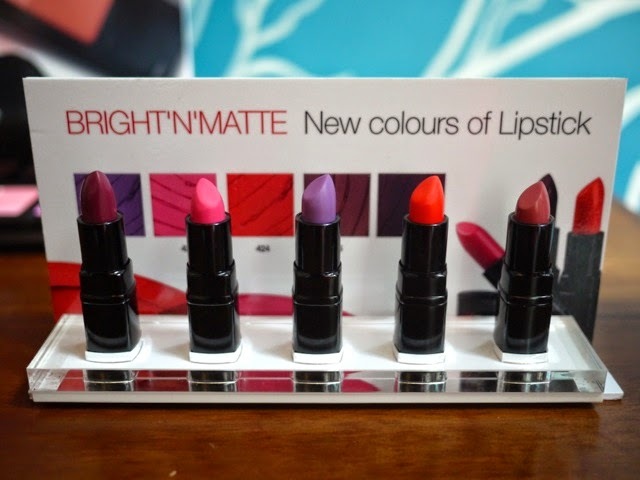 Here are the new colors of the Bright'N'Matte lipsticks. The colors you see on the tube are the colors you'll see swiped on your lips. Yes, the purple is really purple! I have never ever tried purple lipstick before. I shoulda given it a go! 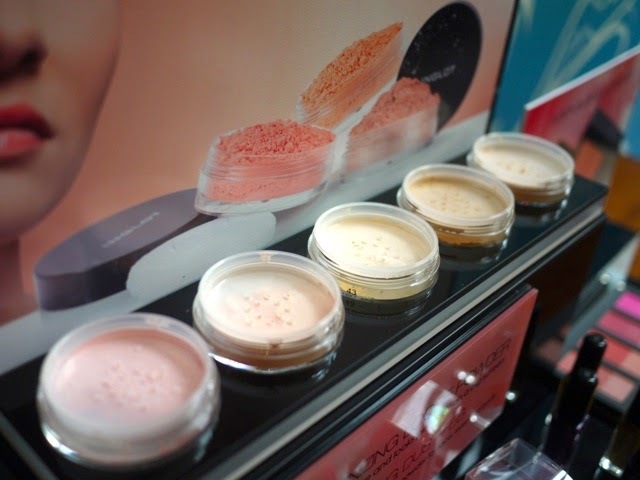 Here are the HD Illuminizing Powders, with premium silicons powders for perfect for a matte and smooth finish, but your face won't look flat because of the diamond dust (meaning you can use it to highlight). I do need highlighter. I used to use highlighter—I'd dust it on my brow bone, the tops of my cheekbones, the bridge of my nose, my collarbones. I wasn't able to try this one either, though! 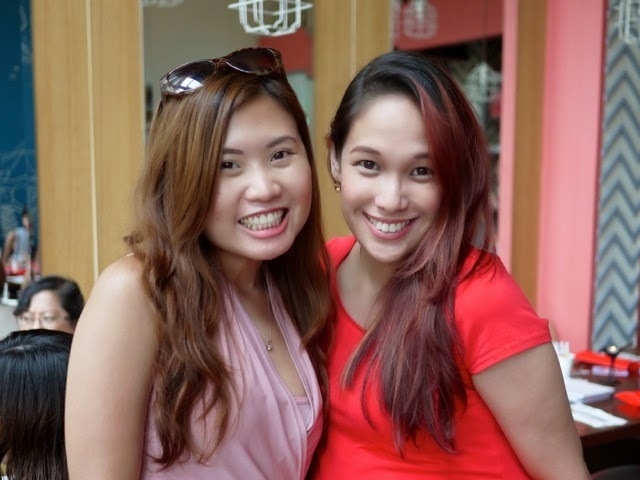 I was too busy chatting up fellow bloggers! Oops! Thank goodness I was able to take home a blush from the new Fusion Blush and Illuminator collection! 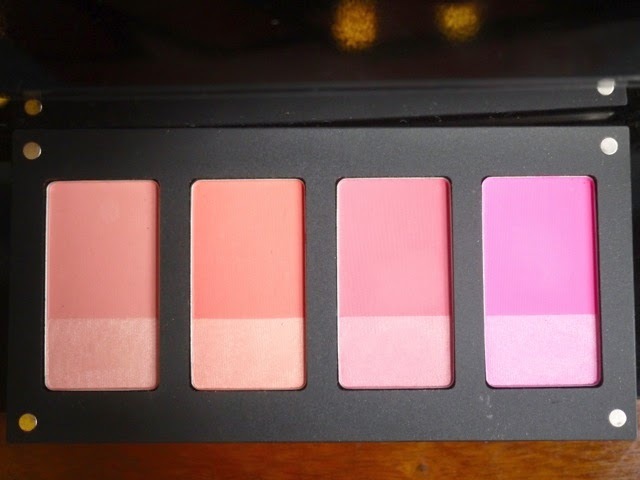 I love blushes. They make me look less ghostly and more rosy, healthy, young, pretty. Just a little bit and I have color already! What I especially love about this blush is the illuminating part (that's the smaller, lighter part). 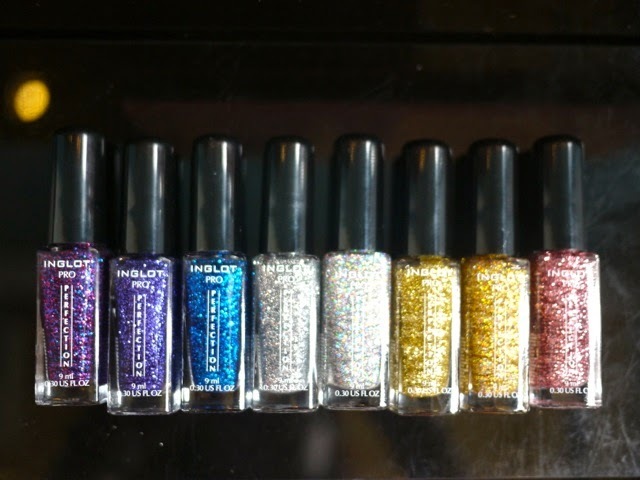 Then, for the girl with the sparkly personality, these nail polishes from the Pro Perfection Sparkling Nail Art Enamel! Ang haba ng pangalan! I'm a boring nail polish girl—I have a ton of pinks and beiges (ridiculous amounts really), although I do have a few bottles of reds and golds and blues. But these glitter polishes look perfect for a night of summer fun. And now for pictures of moi at the brunch! I haven't cut and colored my hair yet! 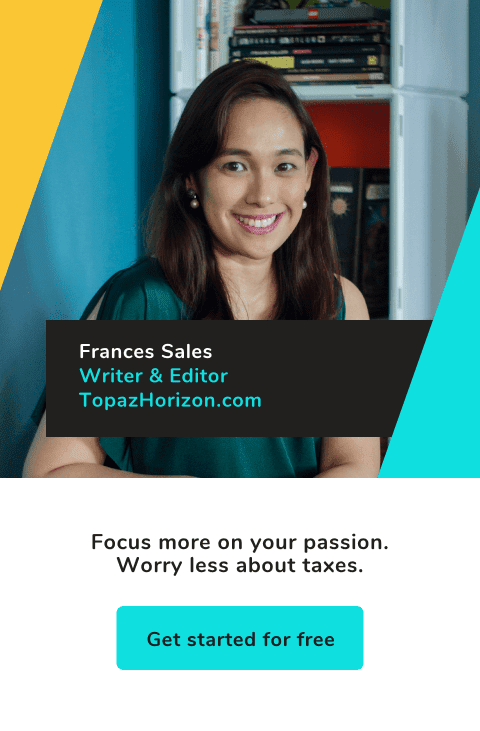 I'm with my friend, Tara Cabullo, who blogs at Chronicles of Vanity. 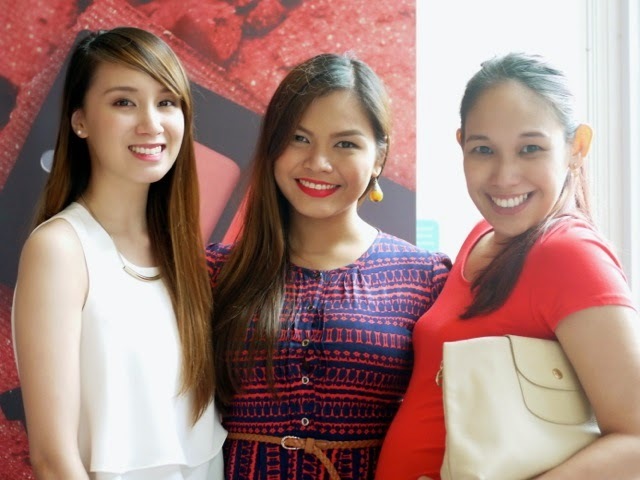 With Pauline Lim of Inglot (in white) and PR consultant Martha Sta. Barbara who blogs at The Beauty Junkee. Find out more about Inglot's summer collection at their store in Glorietta 5, Ayala Center, Makati, or at the Inglot Philippines Facebook page. Have a colorful summer! Skinny girls have feelings, too. I'm in love with the VW Beetle! Are you CORELLE’s Woman of Health and Style? My new fabulous clutch: the Ni-QUA Paper Bag!